Invitation to a meeting with Michael Wieck in Warsaw on April 16 2019. 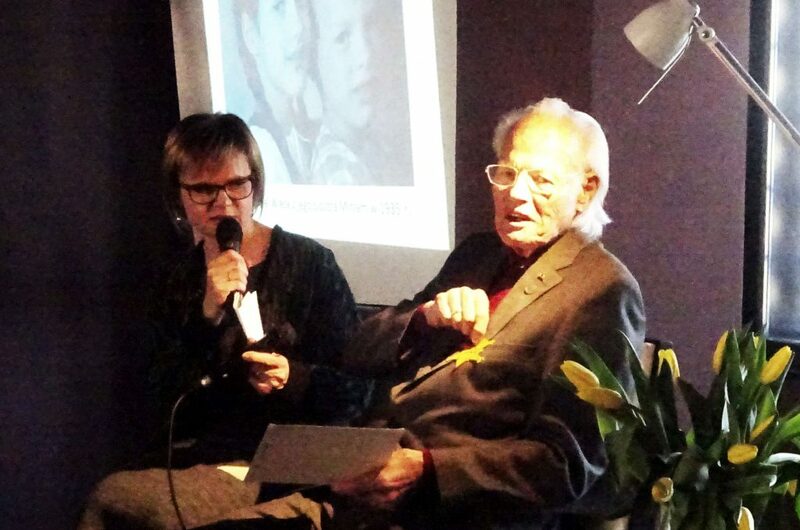 He was born in 1928 in Königsberg, he is a violonist with German-Jewish roots, author of the book under the title “A Childhood Under Hitler and Stalin: Memoirs of a “Certified Jew”, occasion is the publication of the book in Polish. The historian Prof. Ruth Leiserowitz is present at the panel discussion. (Author of the standard work on Jews in East Prussia, “Sabbath Lights and Warrior Association”, Chairman of the Association Jews in East Prussia, DHI (German Historical Institute Warsaw). Moderation: Maria Krawczyk (KARTA-Centre publishing house). Maciej Motylski (actor) will read fragments of the book in Polish (text will also be made available in German). 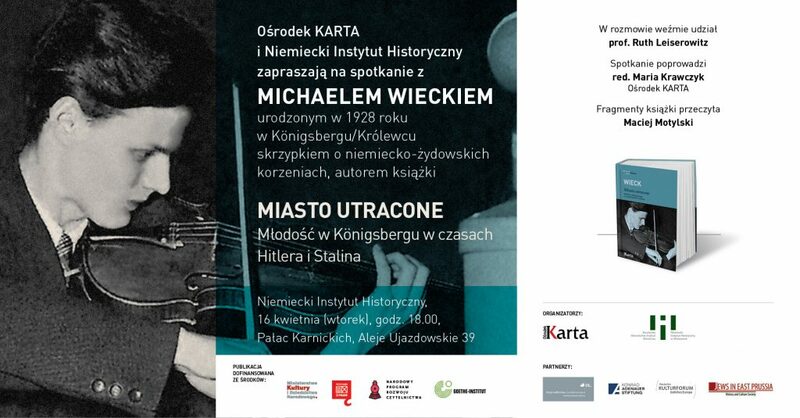 The memories of the German musician Michael Wieck (born 1928 in Königsberg) are a moving description of his childhood and youth, who spent in Königsberg (today Kaliningrad) under the rule of National Socialism and later the Soviet system. Only his father’s origins protected him from the worst consequences of growing anti-Semitism, and after the end of World War II only his own courage, determination and ingenuity helped him save himself and his family from the threat of the Soviets.